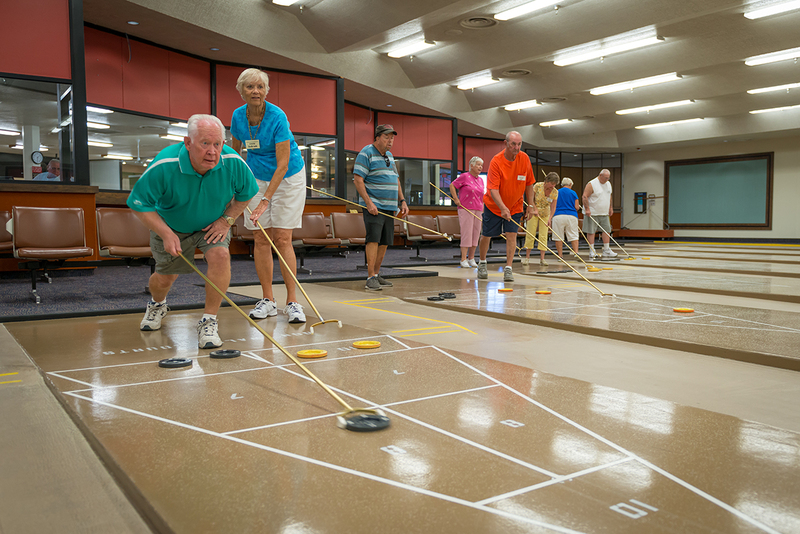 Shuffleboard Club of Bell Center - Sun City, Arizona - The Original Fun City! The Bell Shuffleboard Club meets three afternoons every week (see meeting times below). Shuffleboard is a great sport enjoyed by everyone – both amateurs and skilled players alike! We have eight (8) beautiful indoor courts located inside Bell Lanes which have a very smooth surface. Free lessons are available and take approximately one hour. Please contact either Dennis (623-972-3169) or Mike (623-451-5578) to schedule.